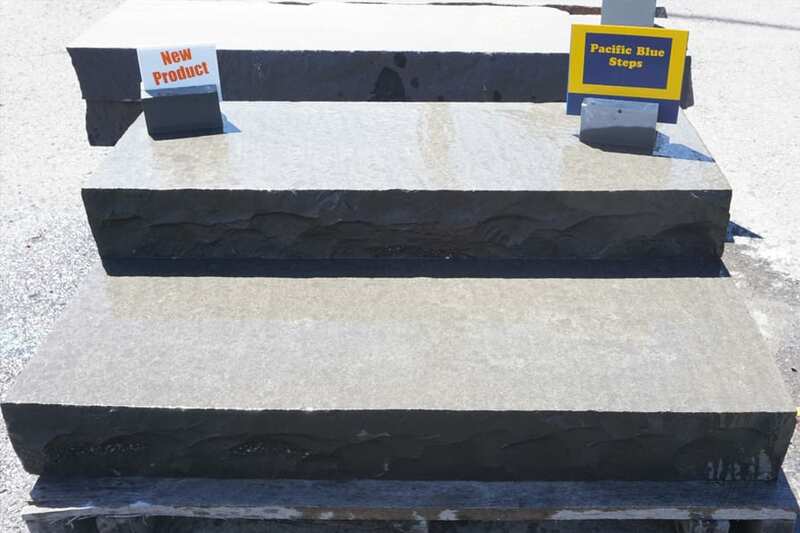 Pacific Blue Natural Stone Steps are blue-gray steps sawn top and bottom and sawn/chiseled on 3 sides. Pacific Blue Natural Stone Steps could be considered a replacement for bluestone steps - they are a bit darker and have less blue. These are 6" tall steps and the color is blue-gray but there is some speckling in it. 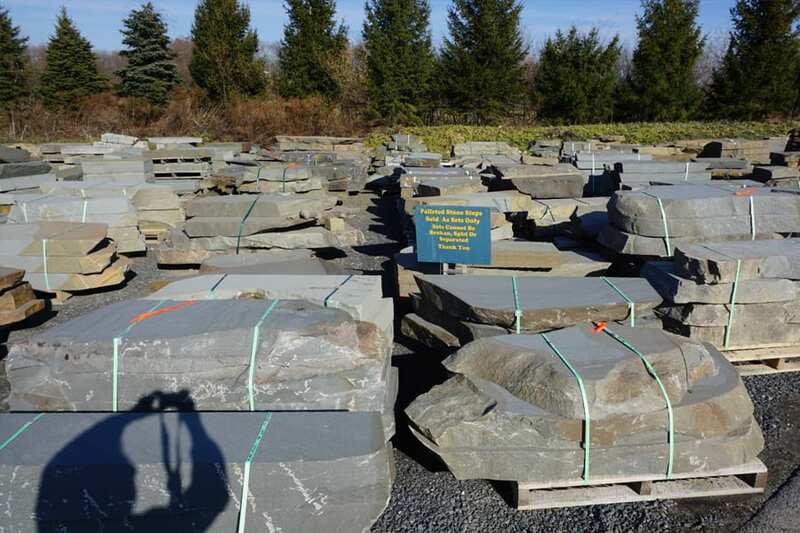 This stone is snapped on a stone guillotine to yield somewhat rough edges but smooth tops and bottoms that are not slippery. Edges are snapped to yield a somewhat rough finish, top and bottom are smooth and not slippery. The look and feel of the stone is very clean and elegant.